Typed annotation on verso of photograph reads: "The Old and the New on the Skeena." Part of a set of 41 original black & white photographs [1908-1933-?]) 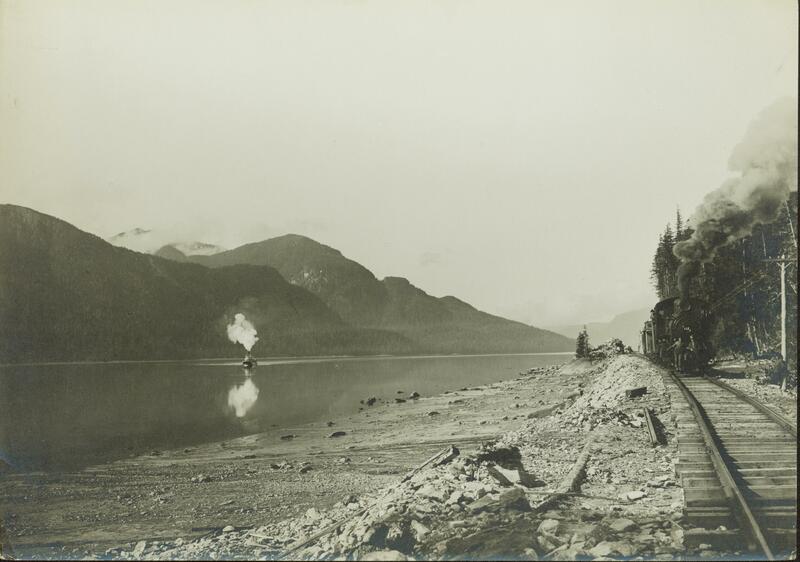 of the Grand Trunk Pacific Railway line in BC depicting surveying crews, town sites (Prince Rupert and its port, Hazelton and Fort George), and First Nations Peoples.